I am pleased to announce that the 2016 Icebowl is a go and is in good hands. 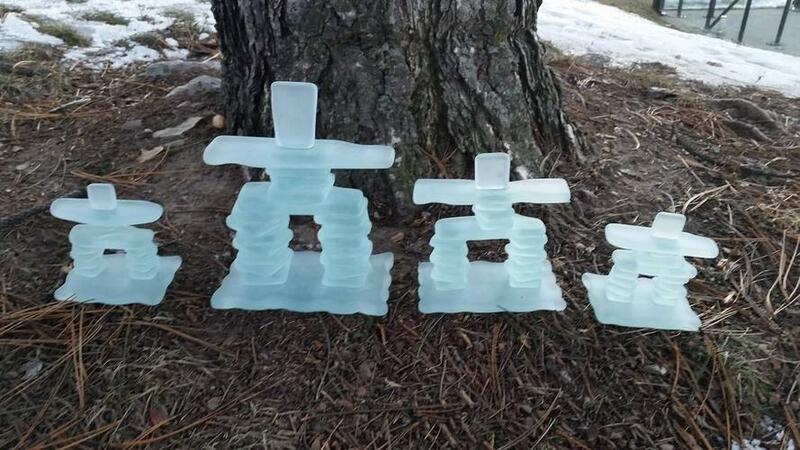 Thanks to the efforts of Eric Vinet and Serge Seguin the IceBowl�s location will shift eastward to the Pine View golf course on a fresh new layout. 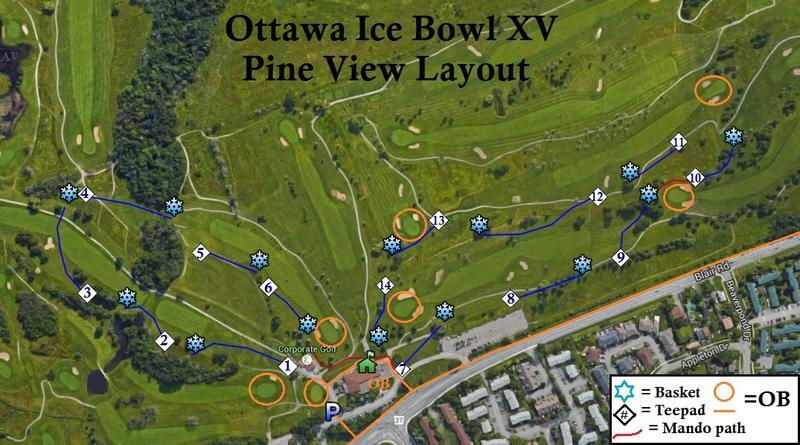 The 15th annual Ottawa Ice Bowl disc golf tournament will be held at the Pine View Golf Course in Ottawa East (Blair Rd. and the 174) on Saturday February 13th, 2016. Save the date! As in previous years, this event is a charitable fundraiser for the Ottawa Food Bank. Last year we were able to make a donation of $3,000 and 170 lbs of food thanks to the combined totals of Ice League and the Ice Bowl. The format of the tournament but will consist of 2 rounds on the 14 hole Pineview layout with a lunch in between. 30$ for ODGC members, $35 for non members. 2016 ODGC Memberships will be available for purchase onsite. a minimum cash donation of $10 (be generous) in support of the Ottawa Food Bank. Please note that their main dishes menu is not available during the winter months. All attending players will receive 6 mulligans that can be used at any time during the 2 rounds* of the Ice Bowl. (*this includes any playoffs that may occur) Note:These special IceBowl Mulligan are included in the price of entry as long as you at least make the minimum donation requirement. In. And just to reiterate, the OFB has 5 times the purchasing power of us, i.e. give cash unless you have access to free food. It's also much easier for the TDs to deal with. It also ensures the OFB obtains the food items it needs most. 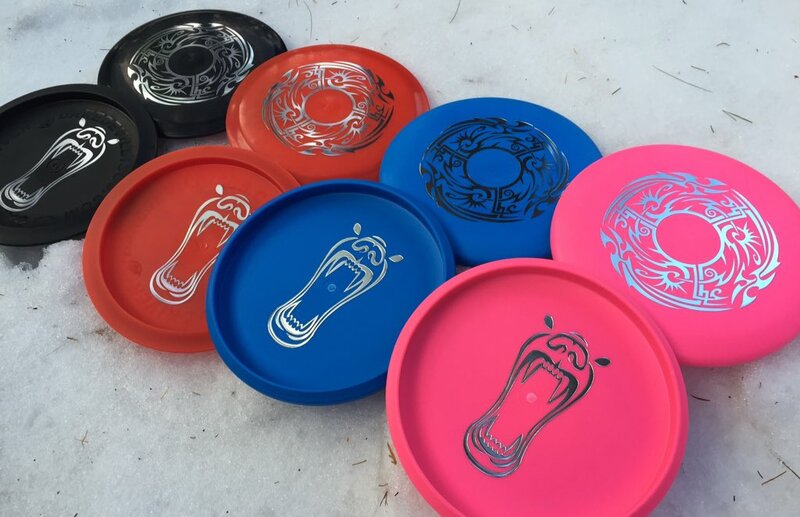 I have two 2015 ODGC IB Bottom-Stamped Black Polar Bears and two "BBP All time" max weight Polar Bears for CTPs. I'm in for Above Freezing. I must also say that is not horrible artwork. A little busy perhaps. Maybe "borrows" a little too much from "Starry Night". 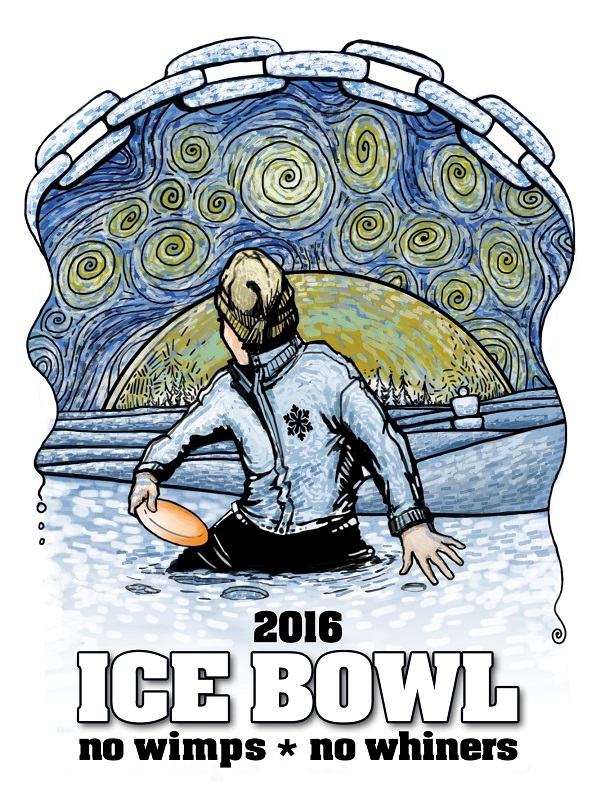 But compared to all previous ice bowl art it is like the aforementioned van Gogh to a bad Elvis on black velvet. Not as busy I thought it would be. It would be sweet on velvet and in colour! It would sweet to stamp it in velvet on a disc. Furry frisbee. Who is collecting the monies? I can't attend, but I would like to throw some support your way. Throw it my way Truckasaurus.